Eye Revive cares for all skin conditions. 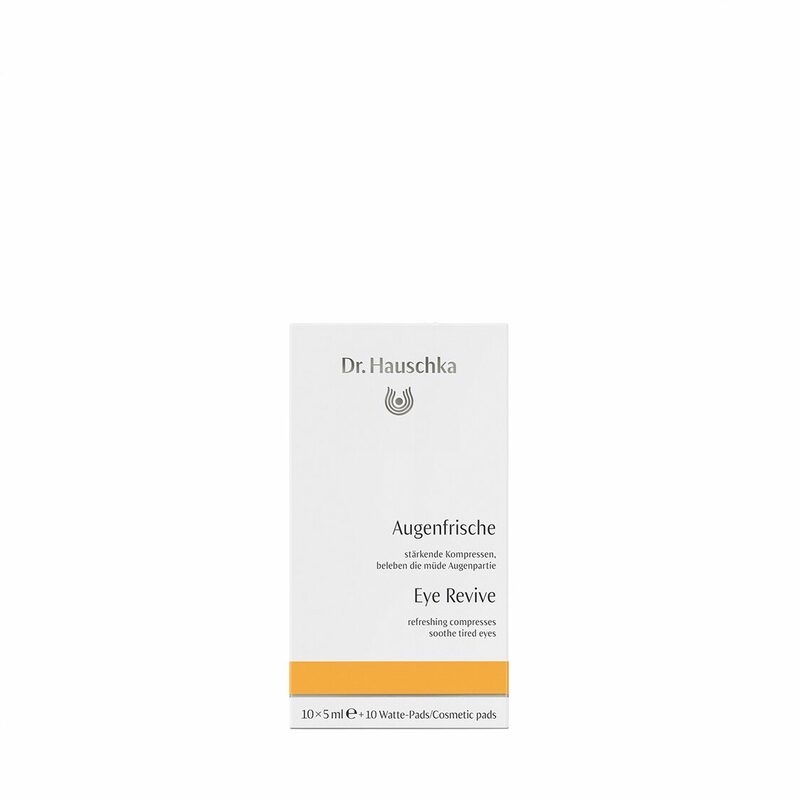 It is optimally formulated for the needs of the eye area. Offering refreshment to tired or red eyes, this soothing herbal solution reduces the appearance of puffiness in the skin around the eyes. Formulation: Extracts of eyebright, anthyllis, chamomile and black tea give calming effects. While fennel extract soothes skin and visibly diminishes puffiness. Eye Revive helps relieve over strained or tired eyes. The calming effect has also proved successful in combating undereye bags and itchy eyes. Divide one cosmetic pad in half to make two circular pads. Shape the pad into a oblong shape. Twist the top from one ampoule and thoroughly saturate the pads with the contents. Place over closed eyelids and allow the preparation to work for about ten minutes.